Boston College (10-0) continued its reign at the top of the Division I Coaches Poll, coming away with all 25 first-place votes this week. Maryland (10-0) sits in second place, North Carolina (8-2) is third, Syracuse (10-2) lands in fourth and Northwestern (6-3) rounds out the top five. Notre Dame (9-1) landed in the top ten for the first time this season, moving up from twelfth to settle in at nine, while Michigan (11-0) moved up another two spots to number eight. Although there were no new entrants to the poll this week, there was some reshuffling in the back half. The biggest mover this week was Southern California (9-1), who moved up four spots to #16. This week features a rare Top-25 match-up on Monday, as #20 Stanford visits #16 USC in a Pac-12 clash, and Tuesday sees Denver (#15) playing at #25 Colorado for in-state bragging rights. On Wednesday, #14 Princeton visits Maryland (#2) and Virginia Tech (#21) hosts #3 North Carolina, before #24 Penn State faces #5 Northwestern on Thursday for a Big-Ten matchup. 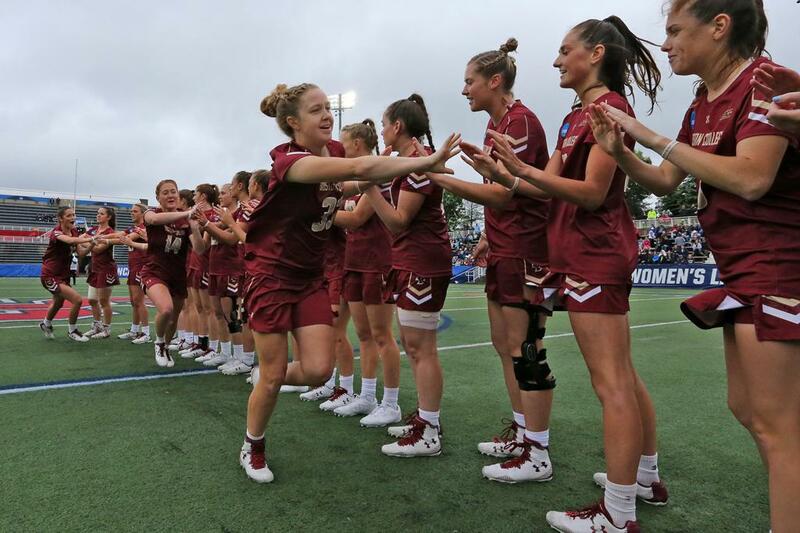 The weekend’s games to watch include #7 Virginia at top-ranked Boston College, #4 Syracuse at #12 Duke, Johns Hopkins (#18) at #8 Michigan, #6 Penn at Northwestern, North Carolina at #9 Notre Dame, and a rematch of Monday’s game, when USC travels to play Stanford.